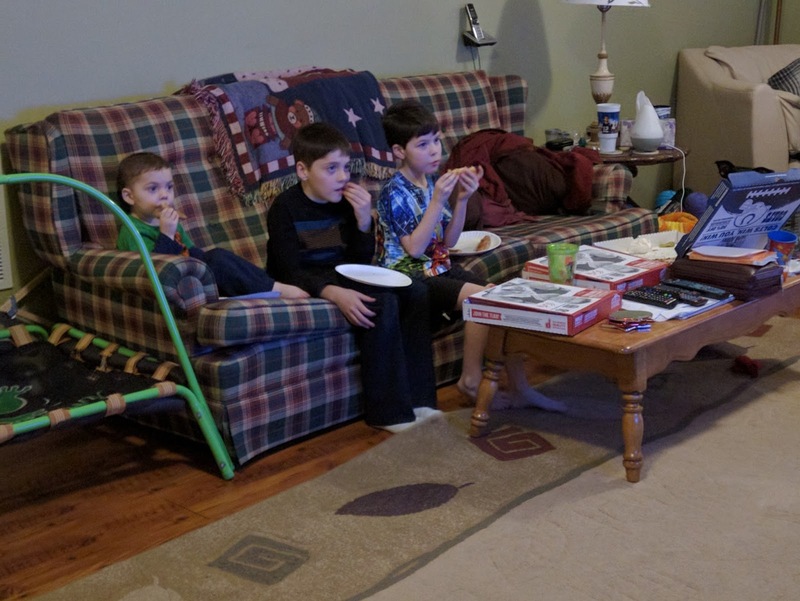 We love to have Family Movie Night as often as possible. 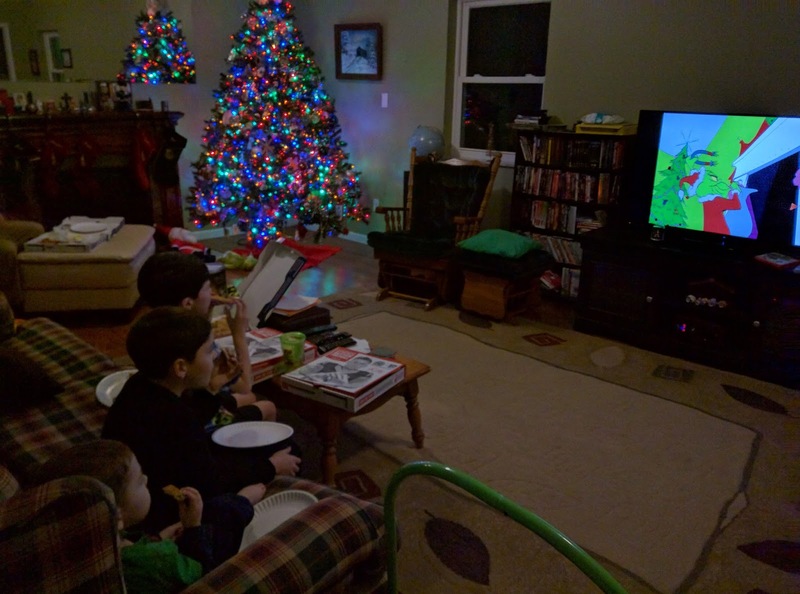 Now that the tree is up and decorated, it's December, I decree Christmas Movie Time! This weekend though, Sam got in trouble at school, and trashed his room when he was being punished for it. So he was grounded. But we had to let him out. Believe it or not, Sam had a homework assignment to watch the Grinch over the weekend. That's why we HAD to do it. And while we're at it, we opted to make it an enjoyable experience. Joey Tribbiani from Friends says, "It's as American as Two Pizzas on a Friday." Except we did it on a Saturday. ;) We ordered in, and all watched the Grinch last night. These two got such a kick out of it. They were pretending to be the Grinchy, and singing the song, long after the show was over. 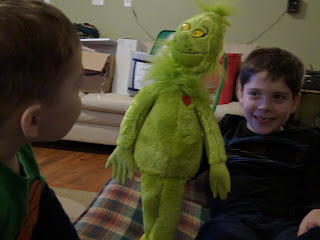 Jacob told me he wanted to "Watch Grinch 5 times!"